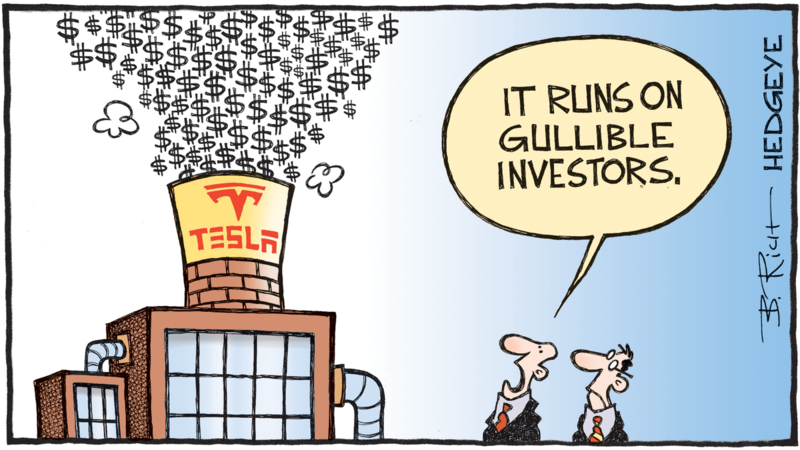 Below is a cartoon summing up our position on Tesla (TSLA). Below is a tweet Tesla CEO Elon Musk posted roughly one month ago threatening investors short TSLA. Below is a look at what's happened to shares of TSLA since his tweet. Shares have fallen approximately -16%. The S&P 500 is up 1%. Below is a video highlighting what our analyst Jay Van Sciver thinks about Tesla. 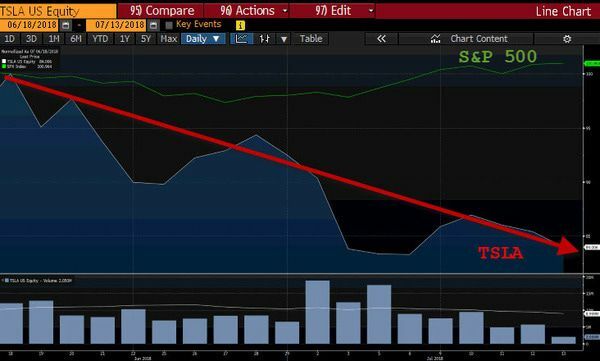 Van Sciver called Tesla a “blindingly obvious short” on June 14, 2017 (in his original research note announcing his short call). Shares have fallen -18% since. For comparison's sake, the S&P 500 has gained 15% during that time. Van Sciver remains short Tesla.